It is not enough for a youth ministry program to simply be ready to serve the Disabled Youth Community. Rather, the ministry should be proactive in making the Disabled Youth Community aware of it’s accessability. It is hoped that any ministry targeting youth with disabilities will be in contact from the outset with any known families or organizations serving them. It would not be a bad idea to contact such agencies to present your willingness to provide ministry opportunities for students and families that are interested, thereby providing a person contact for any of the referring staff. Of course, the best promotion for your youth group are students with positive experiences of interacting with your youth group. Outreach material should assure potential students that your ministry gatherings are able to provide accessible, age appropriate youth ministry experiences for persons with a disability. 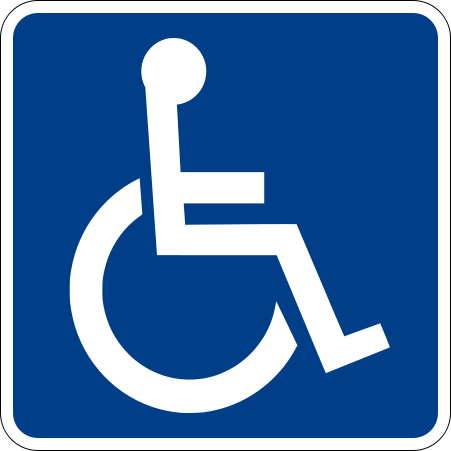 In addition to stating that accommodations and alternative communication strategies can be provided as needed, you may wish to assure the students with disabilities that they are welcome by including the universal accessibility symbol on your literature or website. Tailor marketing materials, including signage, messages, brochures, website, and yellow pages ads to people with disabilities. Have all such material state that accommodations are available. If the ministry is committed to serving persons who are deaf or hard of hearing, have a dedicated line for a TDD, and have that TDD number printed on all outreach communications. Provide a sign interpreter if one is available. Create and use mailing lists of organizations that serve people with disabilities. Conduct specialized training and presentations (include students with disabilities in the creation of) for adult volunteers and student leaders. Adapt conference trips, camps, retreats, etc. with the disabled youth in mind. Recruit students with disabilities to the student leader team or hire an intern/staff with a disability. Work with family and support agencies (if necessary) to determine style of learning for students with cognitive impairments. Link with particular disability groups for their expertise and to create staff training opportunities. Every ministry should expect to have students for whom they will have to make accommodations, but many of these accommodations will not require extensive or expensive changes. Perhaps even more importantly, making accommodations and adapting your ministry for youth based on their functional limitation should create and environment in which they can be restored to community. Often these disabilities carry with them stigmas that separate and isolation occurs. God’s purpose for all of us is to participate in the restorative activity of God in this world. This is just one of many ways we can do that.